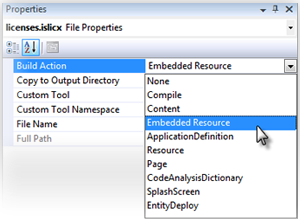 This topic provides a step-by-step instruction on how to deploy WPF application with SmartWebResources. 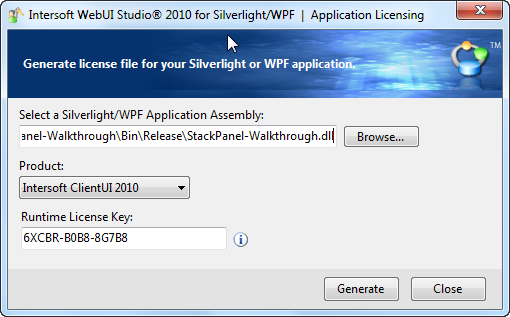 Create a WPF application using Visual Studio. For instance: WPFApplication1. 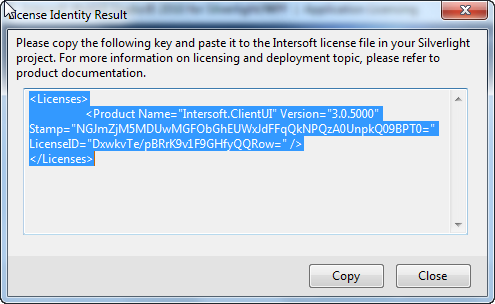 Browse to your main WPF application assembly and enter your Runtime License Key. Go to your project directory and find a .exe file in Debug folder, e.g: [Project Folder]\WpfApplication1\WpfApplication1\bin\Debug\WpfApplication1.exe. Copy this .exe file (WPFApplication1.exe) to your production server for deployment purpose.